A successful business depends in part on selecting the best cast of cohorts for your brand. It takes a village to run a franchise brand, yet many emerging franchisors run a lean operation. A Place at Home is one of those franchisors. Every department and division relies on numerous suppliers. Doing everything internally is nearly impossible, which is why it’s important to rely on these third-party partners. Currently, we work with more than 40 suppliers who support our business through payroll services, scheduling, training, digital marketing and advertising, legal, accounting, CRM, and the list continues to grow. There are so many options for suppliers and it can be a very time-consuming process to narrow them down. It’s certainly been a learning process since co-founder Dustin Distefano and I established A place at Home six years ago, but today we’re incredibly confident in the dozens of strong supplier partnerships we’ve established. Here we’ve identified some best practices emerging franchisors can use to help in their search for top-flight suppliers. The biggest supplier isn’t always the best one. Always look at more than one option to ensure the product or service you are considering is competitive and fully meets your needs. Ask to speak with one or more of the company’s current customers. If this is not an option, ask for data on a client whose business is similar to yours. Simply being able to execute what you hire them for shouldn’t be your only criteria. Vet companies that have franchise knowledge, an ability to scale as you grow, outstanding customer support, the ability to talk with a live person to get questions answered, competitive pricing, and specific experience in your industry. Also, suppliers who offer discounted pricing to franchisees increases its value to a franchisor. For us, it was important to find suppliers that had a history working with franchise companies, but it wasn’t a deal breaker. Every supplier starts somewhere. Suppliers that have a proven track record working with multiple locations, even if not franchises, are essential. Other franchisors or IFA recommended many of the suppliers we use. Lean on your network to help identify and evaluate potential suppliers. Our experience with the NextGen in Franchising Global Competition also proved beneficial. During a round table discussion with one of the NextGen advisers, we received some great counsel. But the advice that really stuck took place during a special session with the former CEO of Great Clips, who said his longest-lasting relationship and most valuable supplier resulted from a handshake and never anything more than that. One thing that was non-negotiable as we were vetting suppliers was their ability to help A Place at Home grow nationwide. Coast-to-coast growth is crucial to complete our mission. As of July 2018, we had four franchisees operating in Colorado, California, Michigan and Oregon, and our supplier partners have been instrumental in helping us scale. Even after you have selected your suppliers, your work is not complete. 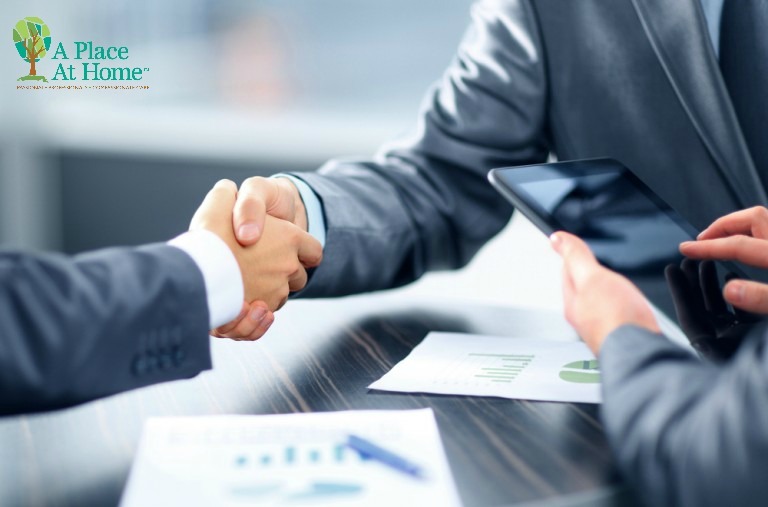 It is important to collaborate with these partners and your franchisees to ensure that the product or service they are providing is consistent and in line with the expectations that were set forth. If a supplier is falling short of these expectations, within reason, give them a chance to make it right. If their performance proves to be inadequate, part ways. There are many other suppliers that want your business and far bigger concerns than under-performing partners. Whether deciding on awarding a franchise, hiring an employee or even selecting your supplier partners, it’s important that the supplier shares your brand’s core values. Partner with individuals and companies that align with these values, and you will grow and succeed the right way. Considering a Senior Care Franchise? When you join our group of dynamic business owners, as franchisees of A Place at Home, you’ll have strong support, thorough training and valuable business resources to help you succeed. Contact us to learn more.